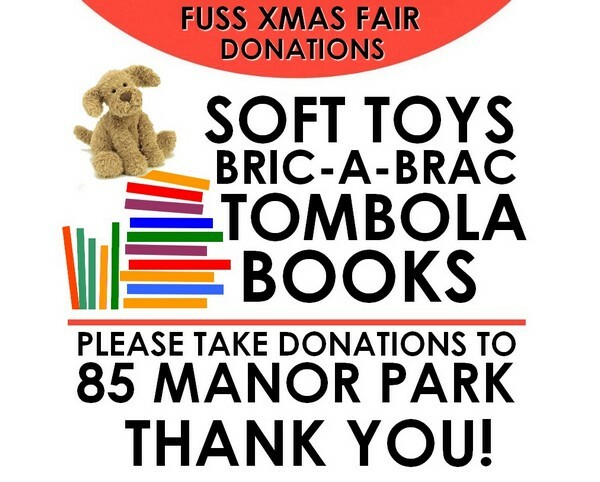 FUSS at Hither Green – Xmas! As you know our annual Christmas Fair is fast approaching (Saturday 5 December) and we need your help with donations for our fundraising stalls. Please take donations to 85 Manor Park (leave them on porch if no one is at home). THANK YOU! We could not continue without your support and generosity!! 3. Minutes of last meeting.